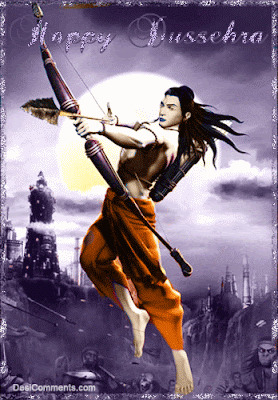 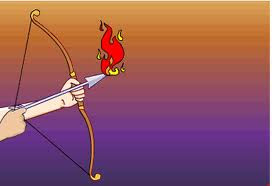 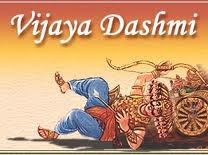 Today 24 October is Celebrated in All india Dusshera.Dusshera is Known as Vijaya Dashmi and Ravandahan.Vijaya Dashmi is Coming on According to Gujarati month Bhadra sud dasham(Day od Ten). 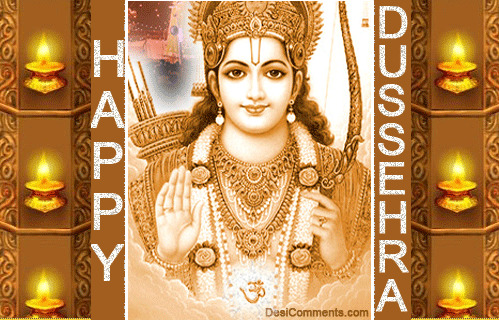 Vijaya Dashmi is last day of Navratri.This day Lord Sri Ram vanquished Ravan Ravan So People doing a Ravan Dahan today.The festival is dedicated to the worship of Mother Goddess Durga or Shakti and her nine forms. 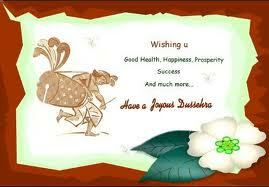 This season is considered to be an auspicious one as it is generally associated with the sowing of seeds. 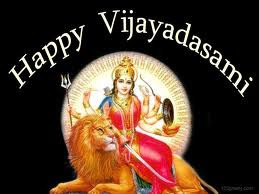 People sow seeds on the first day, consecrate the planets, watch the sprouting and worship Goddess Durga during this festival. The last three days are especially considered most important. 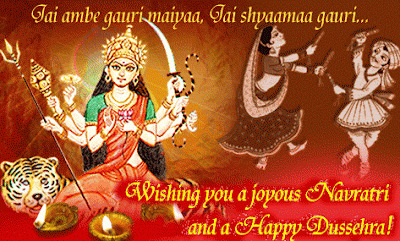 The nine-day is equally divided in worshiping three goddesses. 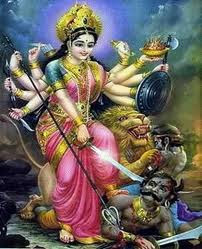 The first three days are dedicated to Goddess Durga Durga Pooja. 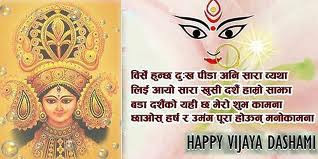 The next three days are spent in worshipping goddess Lakshmi and the last three days are dedicated to Goddess Saraswati. 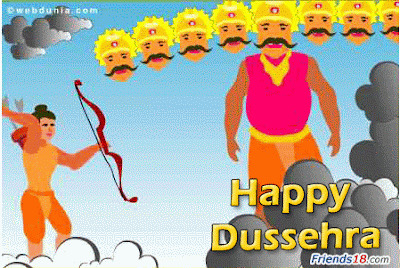 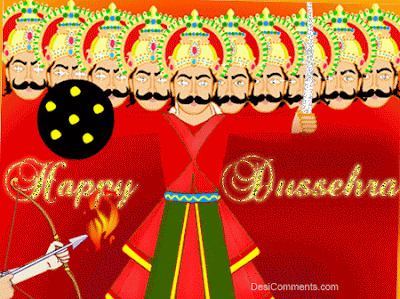 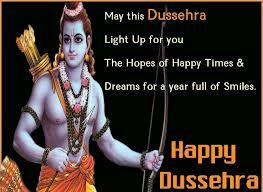 The day after Navratri the festival of Dussehra is celebrated. 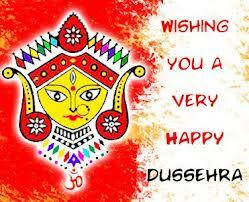 Today the idols of Goddess Durga are immersed into water, after the nine days of festivities. 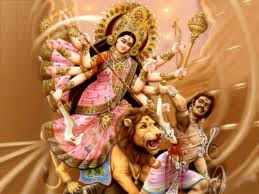 It is said that the people of the earth in the eastern state of West Bengal adopted Durga as their daughter and thus, she visits the home of her parents every year, during the last four days of Navratri, along with her sons Ganesha and Kartikeya, and daughters Lakshmi and Saraswati. 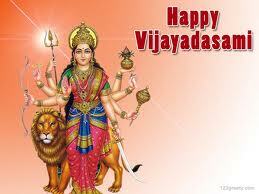 She finally leaves for her husband's place on Vijayadashmi. 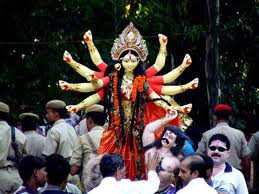 Similar customs are seen in Orissa and Assam. 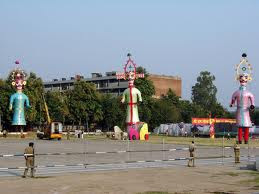 In the North-eastern state of Tripura, huge fairs are conducted and effigies of Ravana, Meghnath and Kumbhkarna are burnts at Ramlila maidans. In the southern states of Tamil Nadu and Kerala, Vijayadashmi holds special significance. 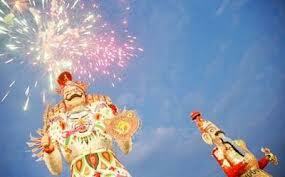 The day is considered auspicious for starting education or any form of art, such as dance and music. 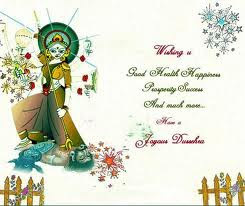 Saraswati Puja is conducted on the day, when the formal commencement of education of small kids takes place. 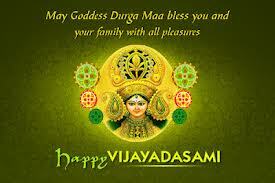 It is called 'Vidya aarambham' (the beginning of Vidya, meaning education). 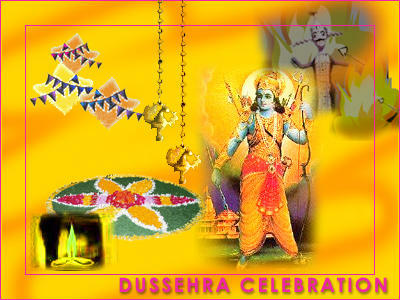 In Karnataka (especially Mysore) and Andhra Pradesh, Dusshera is celebrated with fanfare. 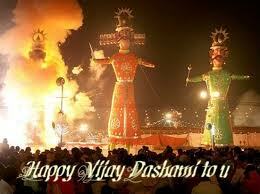 Huge processions can be witnessed in both the States. Although Dussehra is celebrated in different ways across India, the motive remains the same - to spread good cheer and celebrate the victory of good over the evil. Inhi DUS ko PARAJIT Kar apna Dashahara safal kare. 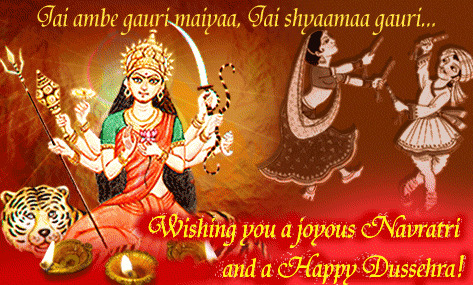 subh kamna hamari kare sweekar. 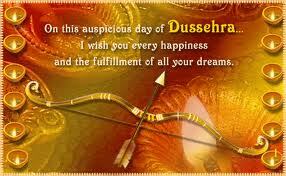 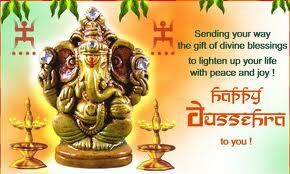 Wishing U all a very Happy Vijaya Dasami. 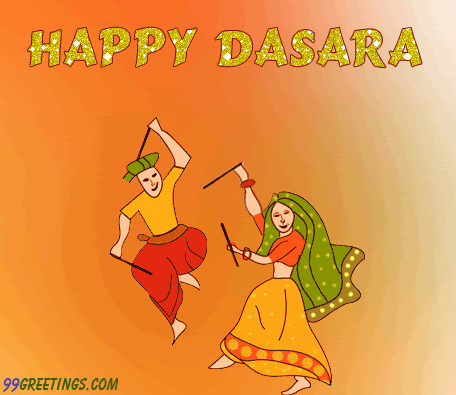 dusron ko dikhao tum kinara…. 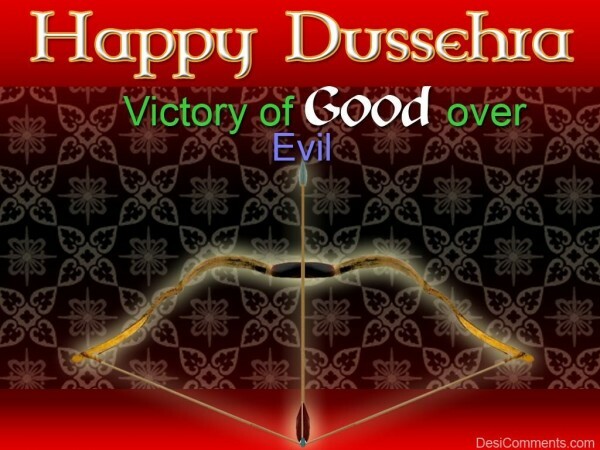 forces of good over Evil.